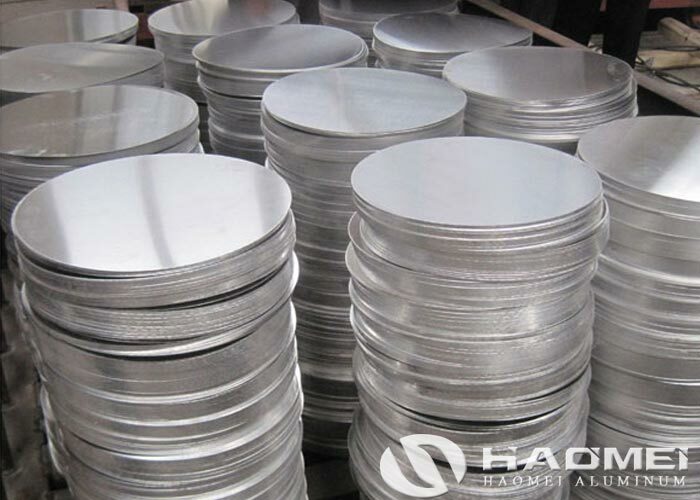 With the rapid development of industry in recent years, a large number of aluminum alloy products which including aluminum circle blanks are gradually being applied to all walks of life and promoted the growth of industry and economic development greatly. With the increasing demand for quality of life, the diversification and functional improvement of the cookware is also increasing, people have more requirements on the quality and appearance on the cookware, in this development trend, the application of aluminum disc on cookware has great process performance and advantages. Along with the improvement of people’s life quality, the styles and functions of cookware are diversified. Meanwhile, it is also required to optimize the technology and materials in production and processing to improve the performance of cookware. People use different single metal or alloy materials for mold production, use special tools to complete the operation of the metal shape control and property control, to achieve the optimization of the cookware and fast production, so the choice of metal material becomes Important. Aluminum circle blanks show strong enough superiority on the cookware manufacturing, it is a kind of aluminum alloy deep processing products which the has largest amount of application. In order to improve the quality and performance of the cookware manufacturing, it is necessary to analyze and select the condition of the metal material. Through the analysis we know that to maintain good process performance of cookware products, aluminum discs should be selected to complete the manufacture of cookware. ← Will aluminum blanks be rust while using?